The first step to increase the productivity of your sales team is to have a sales plan. The sales plan must include strategies and procedures to be adopted when in contact with your customers and prospects. Here you should define clearly the target audience, your strategies and standard procedures and how your sales team will work internally witth other departments such as marketing and communication. Invest in continuous and qualitative training of your sales team. Whether or not they have a natural talent for sales, it is important to update and recycle their knowledge. 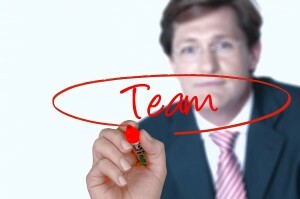 An updated sales team is more prepared to meet the needs of the market. The productivity of your sales team will increase as long you provide them appropriate working tools. The more you put at the disposal of your sales team, technological resources that facilitate and help their agenda and contacts, you will exponentially increase their productivity. See in this article kstore how this tool can facilitate and help the day-to-day of your sales team. A bet on training and technological resources to improve the performance of your sales team can be a waste of effort if your sellers don’t show dedication or commitment. It is fundamental to be aware of the levels of motivation of each sales person and create incentive mechanisms to each seller and for the team. Without monitoring the performance of your sales team, it is impossible to see if the procedures and the strategies adopted are effective. It is important to define metrics suitable to monitor the productivity of your sellers separately and as a team. So you can identify problems and take action to ensure better results.